About us Featured pages Happening soon Photo Galleries Rotary Wishing Well Primary Youth Speaks 2016 Junior Writing Competition Garden Mart 2017 Golf Am-Am Milton Frary from the Wheelchair Foundation Cottingham Day Second Innings for Mike Winter Primary Youth Speaks Young Artist of the Year Competition Giroscope M.A.D. 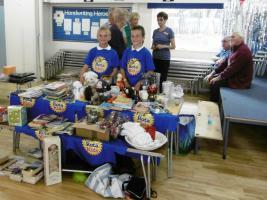 RotaKids Youth Speaks 2019 Charity Craft Fair First Ladies Club 60th Charter What We Do Internationally. Rotary Club of Holderness - welcome! Please scroll/swipe down through this page to find out more about us, in addition to the pages linked in the menu, top-left. Improving lives at home and overseas. The Hydro Mobile Clinic (Ambulance Boat) was unveiled on Sunday 29 January 2017. 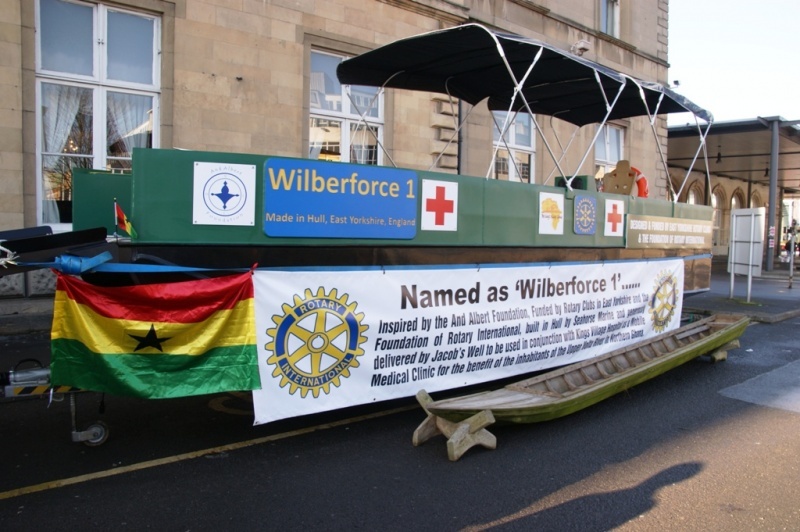 Over 2 years in the planning, fundraising and building, and with inspired by David Murden of the And Albert Foundation, 'Wilberforce 1' is finally 'launched' and ready for service on the Upper Volta River in Northern Ghana. Built in Hull by Seahorse Marine with finance from the Rotary Clubs of Hull & East Yorkshire and The Foundation of Rotary International. 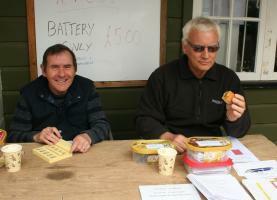 The Rotary Clubs of Holderness and Hornsea & East Riding combine to stage their annual Golf Am-Am day in aid of Rotary Charities.